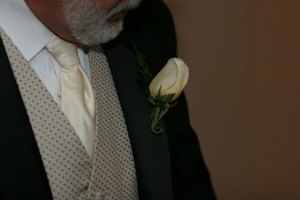 Being appropriately dressed for a special occasion allows you to relax and enjoy each passing moment with confidence. Unfortunately, understanding dress codes can be tricky. Many have similar sounding names, and there is no standard database that can be used to define them. The difference between "casual" attire and "casual elegant" attire may seem small, but the two attire suggestions are actually very different. Definitions of casual dress vary widely. 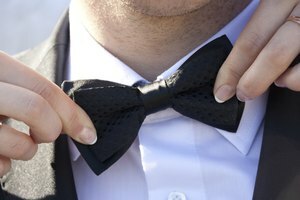 In general, it is best to gauge what will or won't make for appropriate casual attire by the type of event you are attending, location and who will be joining you. While brightly colored shorts and a tank top may be appropriate for an afternoon beach party that calls for casual attire, they should probably be avoided for an evening dinner with your boss. According to Emily Post, khakis and jeans can be worn to events that suggest casual attire; however, extremely worn jeans or those with holes should be avoided. Women can wear long or short skirts; and if the weather permits shorts may even be appropriate for certain events. Plain T-shirts are acceptable; but those with slogans should be avoided. A polo shirt or a button down is a safer bet than a T-shirt in most instances. In the winter, turtlenecks or heavy sweaters can be worn. Casual elegant attire can be imagined as a dressed-up version of your normal casual wear. While it may be easy to confuse this type of dressing with business casual attire, casual elegant outfits allow for more customization and flair. Women are free to experiment with bold colors or playful jewelry, while men can wear sport coats or suits in unconventional colors like tan or navy. According to College New, for affairs that suggest casual elegant attire, men should leave their jeans at home and stick to dark-colored formal slacks. These can be paired with a button down and a tie, or a sport coat. Cuff links are a nice addition to a men's casual elegant look. Women should either wear a formal pants suit or a dark-colored dress. The dress can be long or short, depending on the season and the location of the event. If it's an evening event, women can add a shawl to their ensemble.